Banana Republic Your favorite warm weather look, updated for the new season. 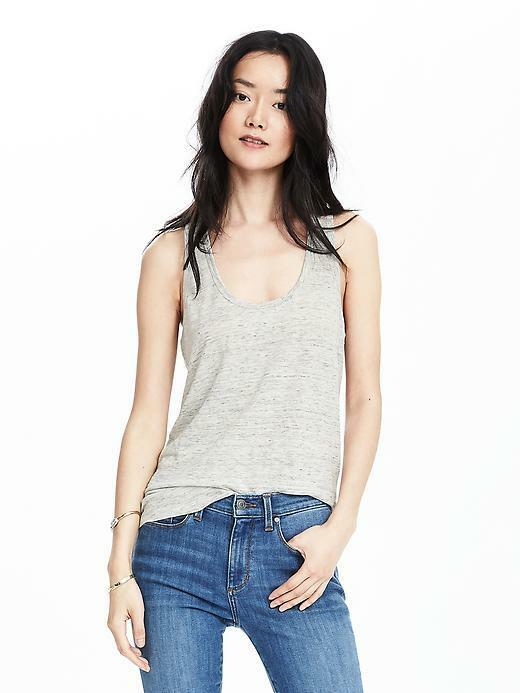 Our textured linen tank comes in an airy silhouette that keeps you as cool as you look. Handle your linen tee with care. Yes, it needs just a little extra attention, but that's because this is no ordinary tee. It's ultra luxe linen that will always look chic if you treat it with TLC. Scoopneck. Sleeveless. Racerback styling. Straight hem. Easy fit. Hits at the hip. 100% Linen.